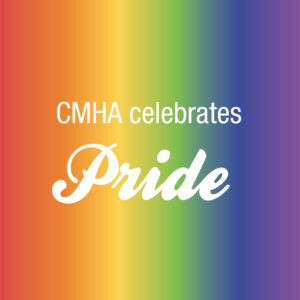 CMHA Ontario joins individuals and organizations worldwide to celebrate the history, courage and diversity of lesbian, gay, bisexual, trans and queer identified (LGBTQ) individuals for Pride Month in June. While Pride festivals across the province recognize Ontario’s vibrant and creative LGBTQ communities, it’s important to note that LGBTQ individuals continue to face specific mental health issues and barriers for accessing supports. LGBTQ people are as diverse as the general Canadian population in their experiences of mental health and well-being, but they face higher risks for some mental health issues due to the effects of discrimination and the social determinants of health. 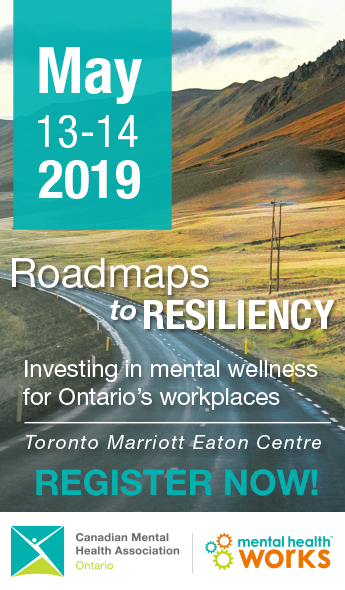 Additional factors that may impact on mental health and well-being for LGBTQ people include the process of “coming out” (sharing one’s LGBTQ identity with others), gender transition, internalized oppression, isolation and alienation and loss of family or social supports. LGBTQ people may also experience other forms of marginalization – such as racism, sexism, poverty or other factors – alongside homophobia or transphobia that negatively impact on mental health. For more on LGBTQ communities and mental health, visit the Rainbow Health Ontario website.